* Swapped fanfares for "Gandalf qualified" and "Book Mode lit"
+ Added music for "Super Spinner"
* Turned on ball saver at start of "There and Back Again"
* Changed ball handling default to "Balls in Reserve"
Wow! Making an awesome game even better! Kudos to check_switch_26, pinball_keefer and the rest of the team! Quick question. I'm on 2.96. Looks like it's worth the effort to do the upgrade, but I was wondering if I can somehow keep my settings/high scores since this is not a delta update? Can I export/re-import settings and scores? Might want to use 2 different usb devices just in case). The full (i.e. non-delta) update will wipe everything! Yep, backup your settings to USB before doing the 3.0 install, then restore. but I was wondering if I can somehow keep my settings/high scores since this is not a delta update? I'd do it for any update, delta or full install. Formatted USB stick nothing else on it. Plug into USB cable by cashbox. Go to Utilities - Settings Backup - there you can back up or restore, do what the screen says. I need help getting this to work. I called JJP, they were nice but didn't have a suggestion other than to try different USB sticks. Sandisk/Kingston fail at two different places for file not found. I have tried both using the cable near coinbox and plugging directly into the motherboard. I downloaded the update twice to make sure download wasn't corrupt. My most recent errors seem to be related to invalid partitions during PartClone, around 70%. Try the other alternate program they recommend instead of unetbootin. Can't remember what it's called but it's in the instructions, could never get mine to update with unetbootin. I did get it to work just now, the kingston USB eventually worked, with nothing that I was aware that I did differently from previous attempts. Thanks for the tip on unetbootin! I am trying to update from v2.96 to v3.0. I se that there is a 'change log' for v3.0 on the JJP downloads list marked "new". What is that and do I need to download and install it also? and, what is the "change log" used for? a mini update to correct errors in the v3.0 or??? Changelog just lists the changes made from one version to the next. You don’t need to download it for anything. After the 3.0 update I made some adjustments in the menu. Just a few minutes later, during adjusting some coil and game settings both screens went dark. Game was still working, since after pressing the escape button I could start a game, but both screens were dead. I switched the game off and on and both screens worked again. Played a few games, no more screens that went Black. At the start of Smaug multiball during a mode or other any other call outs the "MULTIBALL" call out from Gandalf is often not heard. The overall sound seems to be much "softer". I need to set my standard volume at 22 instead of 18 to hear the same volume. Call outs from Smaug seem to be even softer than before. Especially the ones that were already low volume or difficult to hear. The already mentioned "game over Smaug" glitch. I didn't save my settings so I readjusted everything as best as I could remember. I like clear and loud sound effects and speech, so these setting go way up: but even with these settings up very high (sound FX and speech go up to 15) the sound doesn't match the quality of 2.99. But maybe I need to adjust some other sound settings too. Some help is appreciated on how to accomplish this. Summary: for now 2.99 seems better. How to de-update to 2.99? Is that possible? The code barely changed from 2.99 to 3.00, and included mostly bug fixes. As I explained in the Owners thread, the sound channel mixer default values did change. You can find the old defaults in my post there. Well, I was able finally to install v3.0 after several failed attempts at using unetbootin. Even though I downloaded V3.0 several times and tried to load it onto my memory stick, it never appeared on the stick. I finally tried it using rufus.ie and it worked fine first time out. So far I have had no issues whatsoever with the update. Thanks Ted and the JJP team for making my Hobbit Black Arrow even better than it already was. Best game ever! But, I am still waiting for my POTC LE and I can't wait to see how it stacks up with my THBA and WOZRR. Trying to update using Unetbootin, but it stuck at 30, used another USB, but I keep getting black screen when I turn on the game while USB in. should I keep trying different usb's ? its probably not stuck. walk away and come back in about 30 minutes. there are a couple of places where it looks like it is stuck, but it is just loading very large files. emailed JJP, waiting for a reply, Thanks for the help though ! I’m in the same situation I can’t get it to load properly I’m on 2,95. Does anyone where I can go to get 2.99? Well, I was able finally to install v3.0 after several failed attempts at using unetbootin. Even though I downloaded V3.0 several times and tried to load it onto my memory stick, it never appeared on the stick and thus the update would not start on the game. As JJP advised in their download instructions, I finally tried it using rufus.ie and it worked fine the first time out. So far I have had no issues whatsoever with the update. Don't forget to save your settings first if you want to keep your high scores, etc. after you update to V3.0. Its easy to do so. Go to the utilities menu for USB updates and follow the on screen instructions. I did, i still get a black screen when I turn on the machine while usb is inserted, no menu or anything appears, weird.. So not sure if it’s the USB or the operating system, hope this info can be useful to someone in the future ! I believe that a USB 2.0 flash drive may be necessary to install the full Hobbit 3.0 update which involves booting from the flash drive itself. I updated my Hobbit this weekend with the 3.0 full update. I ran into problems as well for a few hours but zeroed in on the key “too long, didn’t read” observation mentioned above. Initially I used a USB 3.0 drive which had worked for me previously for both delta install updates as well as backing up and restoring settings. For the full install I reformatted the drive and burned the 3.00 full ISO using both macOS and Windows in several attempts. In both approaches the image copied successfully but I could NOT get the USB drive to boot in the Hobbit. Interestingly I WAS able to boot the USB 3.0 flash drive in a PC with no trouble. It booted equally well in both USB 3.0 and 2.0 slots on my Dell laptop. The MSI H81M-P33 motherboard which is installed in my Hobbit (and most others?) has a mix of USB 3.0 and 2.0 ports. The motherboard port used for software access via the extension cable fastened by the coin box happens to be a USB 2.0 port. Armed with that information I bought an older, smaller, and slower (*sigh*) USB 2.0 flash drive. 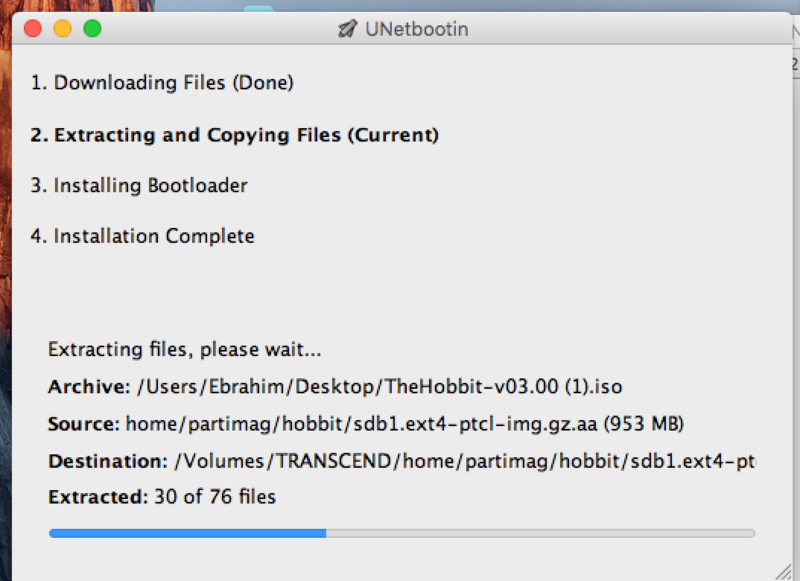 I formatted it, burned the Hobbit 3.0 full install image and was able to boot in my Hobbit with no further problems. Success!! I hope this observation helps someone else in the future. Perhaps LTG (Hi Lloyd!) can file it away as additional suggestion for other customers who have problems with full install upgrades in the future. Since this solved my problem I now lack the motivation to dig deeper but I had two more ideas as further backup ammunition. One would have been to instead plug my USB 3.0 drive with proven bootable image temporarily into one of the 3.0 ports on the motherboard to attempt the full upgrade to reimage the SSD. The second more ambitious idea would have been to update the motherboard firmware itself and then check if the original port would work correctly with both USB 2.0 and 3.0 flash drives. I will leave those ideas to someone more adventuresome and/or the JJP tech team to explore. I already expected an answer like that and I hope a JJP programmer reads my post too. I get your point, although I wouldn't say BOFA is "ruined". There are a couple of cases where the narrator call out stomps on the Azog speech. I will adjust the timing of that. I don't understand why you suggest removing the call outs from Barrel Escape, since there is no other speech except for grunts at each stage completion. The "Stage X Complete" call outs replaced the "Super Jackpot" speech, which is no longer used during Arkenstone modes. Thank you for correcting me on the barrel escape callouts, since I wasn't sure about what really is said there when you go from one stage to the next. I really appreciate you're going to adjust the callouts during botfa. Ruined sounds indeed a bit harsh, but I really prefered the way the callouts the way they were. Again thank you very much for your understanding and I'm looking forward to the next 3.x update. Another thing I noticed during barrel escape: stage 1 is all about scoring 15 barrel bumpers. The dwarf drop target help to decrease the number of hits. During Stage 2 you must hit ramp-orc 6 times to advance to the next stage. No callout follows after you hit the last orc and you advance to the stage during which almost all shots and drop targets need to be hit. The popbumpers reduce the numer of shots. After completing this stage I remember the callout "stage 2 complete". It seems though you've already completed 3 stages at that moment. The next stage is about hitting dwarf and elf droptargets and it is the last before going into the final stage in which you can score victory laps only. In short: maybe the callout "stage 2 completed" should be added after hitting the last orc and other callouts at the end of the next stages? I haven't made it to Five Armies on the new code yet, but I wanted to express my appreciation for the "stage 1, stage2" callouts. I really think these improve the game, as they give you a sense of your progress . I like how things escalate through, and it really gives you a sense of accomplishment when you are going through those modes. 1) Use an 8GB USB (SanDisk works). Anything larger or smaller doesn't seem to work. If you insert the USB into the update port and reboot The Hobbit and it doesn't immediately start the update process, try another USB. 2) Make sure the USB is formatted FAT32 and not NTFS. Writing the files to the USB seems to stop for about 5 minutes. Just give it a chance to finish. 3) Back up your config first. 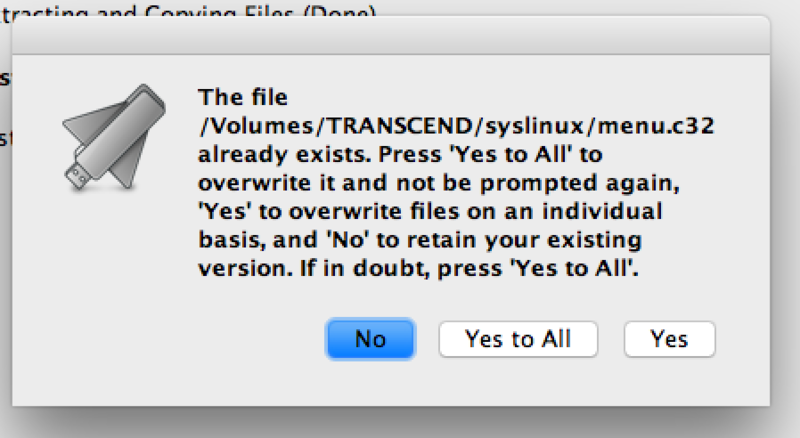 If you don't, it will be overwritten by the defaults. Also, all of your high-scores will be gone. During Stage 2 you must hit ramp-orc 6 times to advance to the next stage. No callout follows after you hit the last orc and you advance to the stage during which almost all shots and drop targets need to be hit. The popbumpers reduce the numer of shots. After completing this stage I remember the callout "stage 2 complete". It seems though you've already completed 3 stages at that moment. The next stage is about hitting dwarf and elf drop targets and it is the last before going into the final stage in which you can score victory laps only. This is a good point. The "Stage X Completed" speech idea happened long after the Arkenstone Modes were designed and coded. Internally, Barrel Escape really only has four stages, but Stage 2 has an 'A' portion and a 'B' portion as you described. Your answer and explanation are highly appreciated. Thanks a lot for understanding and promise to adjust the code. Nice to read that the background music doesn't change but I can live with that. The sounds and callouts are what it's all about to increase the level of immersion for me and you really understand that. Thank you very much. ive tried about 10 times, still nothing. never had a problem with any code update till this one. Give Rufus a try to make the bootable flash drive, this is the only way I was able to install the 3.0 update. Reformat the drive (FAT32), open Rufus and select the thumb drive, set boot selection to the 3.0 ISO, and click "start". Next, with the game off plug the thumb drive in, and then turn the game on to begin install. I am right across the river from you in Oakville. I still have my loaded flash drive. You are welcome to try it? Is the 3.10 update available already? On the jjp website only 3.00 is available. Is the 3.10 update available already? Fall of Erebor is a book mode I believe, there are 31 of those in the game. The 3 Akrenstone modes are the games wizard modes and each contains multiple stages. Arkenstone modes are Into the Fire, Barrel Escape, and Battle of the Five Armies. There's also a super wizard mode, There and Back Again, for playing all 31 book modes.